Facial aesthetics is a growing market with people of all ages and genders having treatments to simple reduce a few wrinkles to completely change the structure of ones face. Priyesh is a very talented and experienced practitioner, offering treatments in all areas of the face. He is enthusiastic and artistic in his approach and practices landmark based techniques to ensure a safe and comfortable experience. 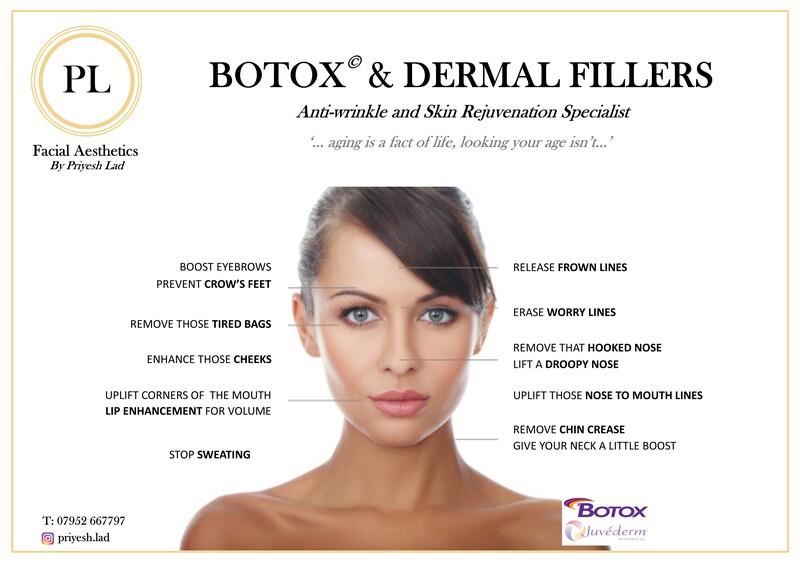 Facial aesthetics using botulinum toxins and dermal fillers are a non-invasive way to feel young and look young with little or no downtime and minimal bruising. Most treatments only require 30 minute appointments. Give the practice a ring on 02476 414302 to book in for a FREE consultation and let Priyesh work his magic into creating your perfect look.